We honored that you have decided to join us in a celebration of both traditional cuisine and modern interpretation. Asian Bistro's history is rooted in the rich traditions of Szechuan cuisine. Our accomplished chef-owner, Jack Liang, first started cooking in the Taiwanese army and learned Szechuan cooking from his mother and grandfather, who came from the Chinese province. 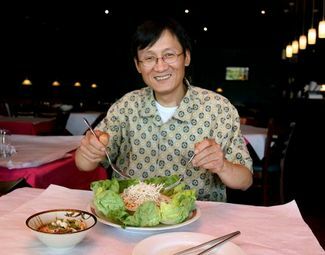 Liang and his family ran Whey Chai restaurant in Racine, Wisconsin, from 1993 to 2004, before opening Asian Bistro in Arlington Heights in 2004. Today, the restaurant primarily specializes in Szechuan cuisine, accompanied with dishes from elsewhere in China and Taiwan, as well as Thailand and Vietnam. We recommend, for a spicy kick to start your meal, that your appetite be piqued by any of our traditional Szechuan appetizers, served cold. Our Ox & Tripe w/ Roasted Chili Peanut Vinaigrette is a classic marriage of thin, flavorful Ox and Tripe slices served with garnish and our spicy house chili vinaigrette. 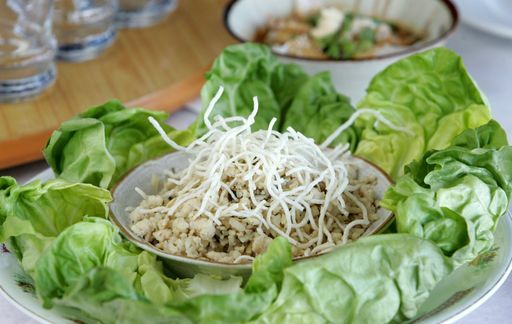 Order either the house-specialty Liang Mein spicy (Chengdu-style) or savory and nutty (Sesame-Pesto) for a truly delectable, chilled noodle dish. For your main course, try our mouthwatering Beef Steak w/ Hot Plate and Sizzling Rice for a presentation engages all of your senses. Re-imagine your vegetable option with our addicting Yu Shung Eggplant, fried in savory batter and tossed in sweet and sour sauce. One of our favorite dishes is Chengdu Smoked Tea Duck, which is baked to a crisp, aromatic texture, scrumptious in both taste and smell. If you are simply looking for a hot bowl of noodle soup to warm you up, we point you to Szechuan Beef Stew with Noodle in Szechuan Style, an entrée that never fails to heartily satisfy.